I answered with ISIP’s standard one-liner vision, “A community of service-oriented Filipino youth with an appreciation for science and technology.” I gave that line and its variations so many times in the past months I had been emailing and meeting for potential partnerships to support our organization. Somehow, in its repetition, it had lost its magic. It was no longer the same passion rolling off my tongue as when my co-founders and I banded together and agreed to contribute to science in the Philippines. As the follow-up questions came one after another, I realized that I needed an opportunity to revisit what those words mean for me and for ISIP. Discovery Science Camp 2016 provided that opportunity. In the week that I spent with the camp core and volunteers organizing the camp, our experiences gave life to that vision. Those seven days were the most difficult days of ISIP thus far, and yet the most fulfilling for us all. It was not easy pulling together a camp that would top last year’s and set the momentum for future camps, having just come from the stressful end of a semester and looking forward to summer classes or the start of a new school year. Nevertheless, we stuck together. I realized that Discovery Science Camp is where it all begins, where the bonds are formed and lessons are learned. These bonds and lessons shape the community that grows beyond the camp. ISIP was founded nearly two years ago in a dormitory by three friends who wanted to change the way Filipinos view science and the role it plays in our community. We at ISIP see science as a human endeavor, a way of thinking and approaching problems, the art of asking questions and finding answers. These beliefs were formed through the experiences we have had as Pisay students in our encounters with science. We wanted to share these experiences with the youth, our peers, in the hopes that science will no longer just be a subject that needs to be passed, or an alien, intimidating topic on their news feed, but something that matters to them. Our organization set out to do that in three ways – a magazine, a Youtube channel, and a camp. The magazine turned out to be a bigger challenge than we thought. We decided it would be too much for us to handle with everything else that was going in our lives, so we focused on the Youtube channel and camp. The Youtube channel launched in January 2015, and has since then been releasing various science videos, some devoted to explaining science concepts in Filipino, some sharing experiences of Filipino scientists and engineers, and others piquing interest in science through jokes and song. The camp took longer to take shape, but all the work paid off when we held the first Discovery Science camp in May 2015. The Discovery Science Camp (DSC) is more than just five days of fun, science-themed workshops and activities, although that is what gets prospective participants interested. It is an experiment, for us, for the participants, and for everyone involved. For us, the camp is a way for us to test the ideas and attitudes we promote and seek to instill in the youth. Through project brainstorming sessions, we want to share to the participants that there is a thought process behind the ideas that solve problems and that the campers need to collaborate in order to develop that idea and present it. As I had them repeat several times during our sessions, “Hindi competition ang project pitch (presentation). Magtutulungan tayo. [The project pitch (presentation) is not a competition. We will help each other. ]” Through the project presentation, we immerse them in an important skill – communication. Without discoveries being communicated, they cannot be translated into innovations that impact the lives of many people. Communication can make or break an appreciation and understanding of a concept or idea. By placing them in a conversation with scientists experienced in their respective fields, we provided them with a space were they could share their ideas and more importantly, ask questions. Communication, after all, is a two-way street. Through the Agham-azing race, which features skills important in the scientific approach, the science workshops, and stargazing activity, we show them that science and the scientific approach in particular, require skills and a mindset that can be found in various activities beyond the classroom. We bring science closer to home, sparking the campers’ wonder with the phenomena that can observed with everyday objects, like cornstarch, and familiar environments, like an open field of grass with the stars above. Not only are our ideas tested, but as also our work ethic and relationships. Organizing a five-day camp is no walk in the park, and with academics, family, and other commitments on our minds, it can be difficult sometimes to keep both eyes on the road. The camp provided us organizers a space to learn more about how we work with each other, and develop our skills in handling these kinds of large-scale projects. The Discovery Science Camp was also an experiment for the campers. They came into these camp with their own notions of what science is, and expectations of what they would go through and learn in the next five days. Going through each day, they were provided the opportunity to test these notions and expectations, and learn from what they would discover about science and about themselves. There is no way for us to accurately measure just how much one appreciates science, but after listening to them talk about the camp and how it changed the way they see science, this spirit gives us at ISIP the drive to keep working towards building this experience of discovery for future campers. The Discovery Science Camp is not the end of our work or the campers’ experience with ISIP. As with all experiments, it does not end with the results and discussion or conclusion. There are recommendations to be discussed, repetitions to be implemented, and even more questions to be asked. It is a never ending cycle of learning that characterizes the scientific approach we aim to impart to our campers in the five days that they spend with us. These ideas and beliefs are at the core of who we are, who ISIP is. That is why the Discovery Science Camp is the flagship project of ISIP. This is where ideas are formed and attitudes instilled, and all these serve as the foundation for the community ISIP is building. 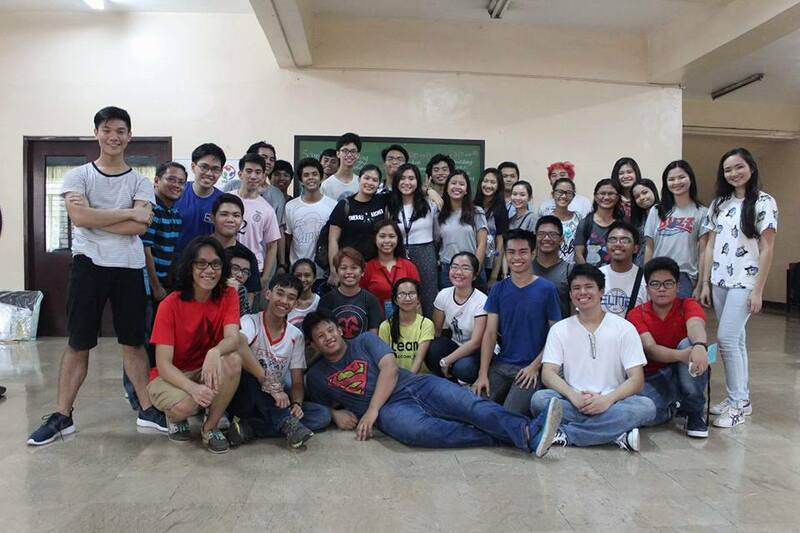 The campers and my fellow organizers taught me a lot about ISIP and the community are trying to build. We are not starting from square one, and yet we still have a long way to go. We may not be able to figure everything out, but that does not matter as long as we stick together. We need diversity and at the same time, we need to be united. They sound obvious and intuitive, but seeing it in the campers and my fellow organizers is a whole different story. After hearing remarks from some of the facilitators and participants, I am very optimistic about how we can bring this further and farther, with the help of more individuals, institutions, and organizations. I have always told my fellow ISIP members that we are working towards something that is going to be bigger than any of us, and being a part of Discovery Science Camp 2016 made me realize just how big this has become, and how much more it will be. With what I have been through in Discovery 2016, the answer can no longer be as simple as our one-liner vision. Our vision of a community of service-oriented Filipino youth with an appreciation for science and technology is already becoming a reality. The stories of this camp I now carry with me are proof of that. The community carries so much potential through its members. It is difficult to definitively provide a single direction for where ISIP will go. If you ask me, ISIP has the potential to be an incubator for student researches focused on building products or developing services. It depends on who you ask, but one thing is for sure. If we are going to convert any of this potential into concrete action, ISIP needs to be sustainable.